The Quantification Settlement Agreement defines the rights to a portion of Colorado River water for four water districts in Southern California. It also provides for a water transfer between the Imperial Valley and San Diego for 35 years–the largest agricultural to urban water transfer in the United States. The QSA also created a Joint Powers Authority comprised of the Imperial Irrigation District, Coachella Valley Water District, San Diego County Water Authority and the state of California to pay for environmental mitigation of the Salton Sea. 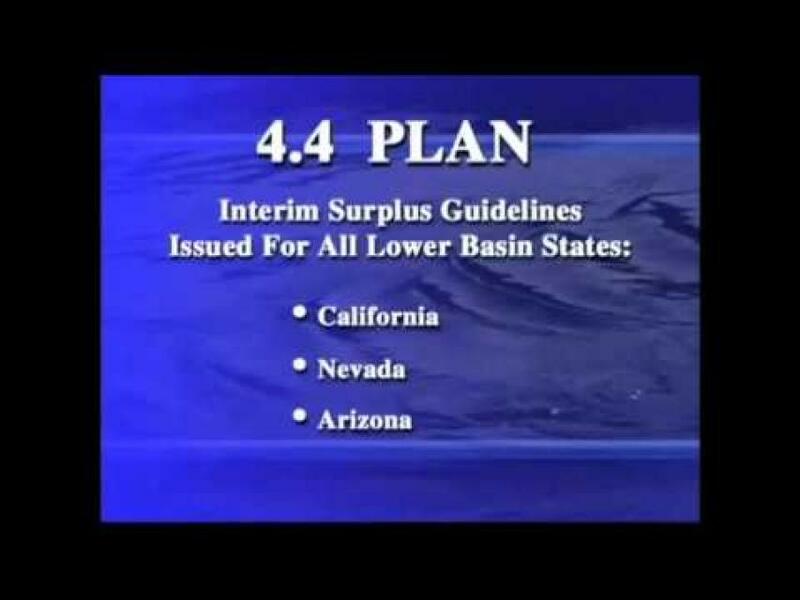 Signed in 2003, the QSA underscores California’s 80-year old agreement to not use more than its 4.4 million acre-feet annual apportionment of Colorado River water [see also Colorado River Water Use 4.4 Plan]. The agreement came in response to California consistently using more than its annual Colorado River entitlement. Additionally, the water needs of six other Colorado River basin states had grown since the 1980s, making its shared use increasingly crucial. The Salton Sea, now fed largely by agricultural run-off, played a key role in the Quantification Settlement Agreement. The Salton Sea provides important habitat for fish and migratory birds but has been in a long decline due to salt build up and diminished water supply. The receding shore line and exposed lake bed have also created air quality problems from toxic dust. There was particular concern the QSA could worsen these problems since more water would be diverted out of the Salton Sea. In response, the Imperial Irrigation District and the San Diego County Water Authority agreed to send fresh water to the Salton Sea to replace water Colorado River water diverted under the QSA. The deal runs through 2017. California also committed to restore the environmental health of the Salton Sea in 2007. So far, the state Legislature has not funded this plan. Meanwhile, in 2013 a Sacramento Superior Court judge upheld the QSA. Imperial County, its air pollution control district (concerned about toxic dust from a drier Salton Sea) and local landowners had challenged the legality of the QSA, questioning whether the 2003 agreement had been reviewed under the California Environmental Quality Act. The plaintiffs based the challenge on concerns that continued water transfers would hasten the drying out of the Salton Sea.